Claim "Las Vegas Dispensary Tours"
With the first retail stores recently opened, Vegas dispensary tours is at the forefront of a “Budding” industry here in Nevada. As our competitors look to expand their out-of-state cannabis tour companies here in Nevada, keep in mind what makes Vegas Dispensary Tours unique: Take a tour on your next marijuana vacation. LOCALLY owned and the first marijuana travel company to provide dispensary tours here in Sin City, Las Vegas! Founders are NEVADA community leaders and involved in all areas of the hospitality, transportation and legal cannabis industry. One of our owners is part of a Medical Marijuana Establishment (MME) that received six licenses and is going through the process of opening two dispensaries and two cultivation (grow) / production (edibles) facilities. The only cannabis tour company that designs our vehicles in-house, tailoring our fleet of 420 limos and party busses to the needs of today’s medical marijuana consumer. Dispensary tour clients receive VIP access and discounts to many local Vegas attractions such as: nightclubs, strip clubs, restaurants, entertainment and comedy shows. 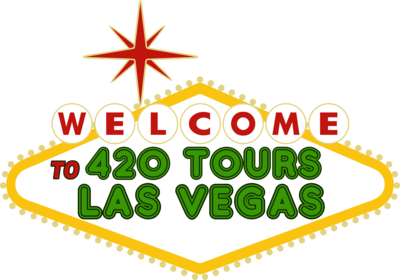 Las Vegas Dispensary Tours are for adults 21 and over only.